ASTANA – The European Bank for Reconstruction and Development (EBRD) committed to closer cooperation with China and the European Union (EU) to attract greater investment in Central Asia at Beijing’s Nov. 14 Central Asia Investment Forum (CAIF). Hosted by the EBRD and the People’s Bank of China (PBoC) and sponsored by the Industrial and Commercial Bank of China, CAIF gathered more than 600 leading investors, policymakers, economists and experts from China and abroad. Discussion panels centred on opportunities presented by the Belt and Road Initiative (BRI) to Central Asia in the financial sector, agribusiness, renewable energy development, risk mitigation and public-private partnership (PPP) in infrastructure. Attendees included EBRD President Suma Chakrabarti, the European Commissioner for International Cooperation and Development Neven Mimica and PBoC Deputy Governor Chen Yulu, who agreed to enhance investment in the region. The parties will build on institutions and clients’ capacities, promote a predictable and level playing field and incentivise green and inclusive investment. 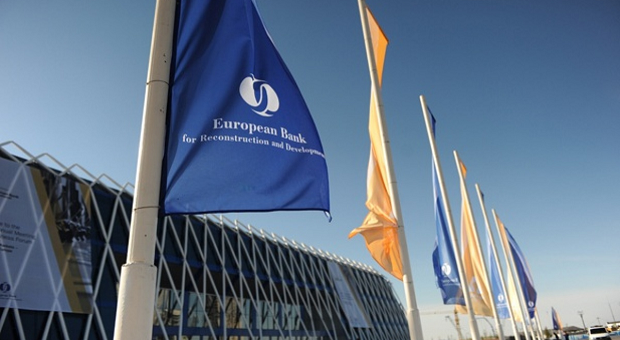 The EBRD is Central Asia’s largest institutional investor with approximately $14 billion committed to more than 750 projects in private sector development. 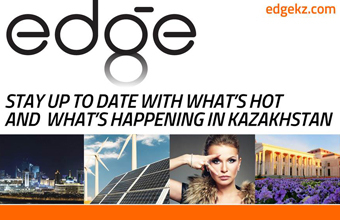 It finances wind and solar power in Kazakhstan and Mongolia, empowers female entrepreneurs in Tajikistan, promotes sustainable tourism in Uzbekistan, enhances healthcare access in Kyrgyzstan and supports small businesses in Turkmenistan. With a 4.6 [economic] percent growth rate forecast in 2018, “there is much more to Central Asia than traditional carbon energy,” noted the bank’s president. The region is increasingly becoming an important bridge for Asia-Europe trade and innovation with initiatives such as the BRI, China’s development strategy on improving regional cooperation and connectivity via land and maritime networks. “Central Asia is a region which needs and wants to be better connected to and integrated with the wider global economy. It has the potential to start playing the role it once had as a key link between the East and the West. The EBRD can mobilise high-quality investment and develop business in the region, and we also see an important role for Chinese investors as demand remains huge,” said Chakrabarti. As a shareholder since 2016, China enjoys greater investment opportunities in the regions where the EBRD operates, including Central Asia. The bank began its work in Kazakhstan in 1993, investing more than $8 billion in PPPs, renewable energy regulation, subsoil use, privatisation, inclusivity in the energy sector and capital market development. BRI investments in the country include railroads, pipelines and a dry port along its border to ship goods to Europe. China is to work with the other parties in promoting “renewable energy, infrastructure and agribusiness and risk mitigation cooperation… under the BRI,” said Chen commenting on the signature of a memorandum of understanding between the EBRD and the China International Contractors Association at the event. Mimica reiterated the European Union and Central Asia’s long-standing partnership in trade, security, energy and connectivity and their shared values of peace and prosperity. “The EU’s new strategy for ‘Connecting Europe and Asia’ is the latest example of our firm commitment to boosting cooperation with our Asian partners in key areas like connectivity and sustainable development,” he said. The partners’ commitments are to also contribute to the 2030 Agenda for Sustainable Development, given that “we are just over a decade away from 2030 and our promise to end poverty and inequalities by achieving the Sustainable Development Goals,” added the commissioner.